Longtime Boulder City resident Anthony “Tony” Korfman died Monday. He was 71. His wife, Linda Korfman, said his death was unexpected and came suddenly after complications from surgery after breaking a hip. The two met in the early 1990s. A few years later, Korfman helped spearhead a drive to obtain a new rescue/ambulance unit for the fire department. “Whenever we needed any type of equipment, he was one to step up and donate money for that,” Gebhart said. Linda Korfman said her husband helped numerous organizations throughout the city. Gebhart also praised Korfman for his honesty and willingness to offer an opinion. Multiple messages on his Facebook page commented on his generosity of spirit and love of life. He was born Nov. 13, 1942, in the Bronx, N.Y., to Arthur and Emilia Gallo Korfman. He graduated from the University of San Francisco and married Linda in Carson City in 1966. They moved from Lake Tahoe to Las Vegas in 1969. 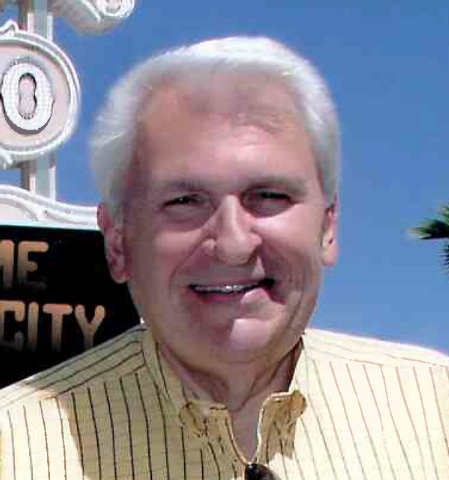 Korfman moved to Boulder City in 1979 to become general manager of the Gold Strike. He later served as operations director for the Hacienda and most recently was affiliated with Boulder Inn and Suites. He also wrote several books about poker. He is survived by Linda Korfman, his wife of 48 years, Linda; five children: Carrie Adamson and her husband Don, Tamara Korfman, David Korfman, Tony Kerbrat and his wife Shelly, Joe Kerbrat; eight grandchildren: Tierney, Torin, Michael, Mikalina, Chase, Carson, Conner, Kendal; and two great-grandchildren, Rowen and Olivia. He was preceded in death by a daughter, Michelle Korfman. A celebration of life will be held at 2 p.m. Saturday at Boulder Creek Golf Club, 1501 Veterans Memorial Drive.